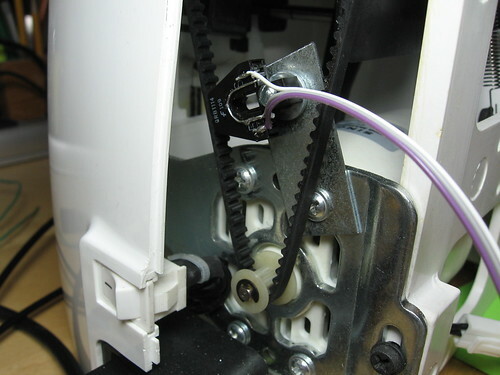 I think I got my sewing machine to stop randomly rebooting! The symptoms were usually pretty simple. 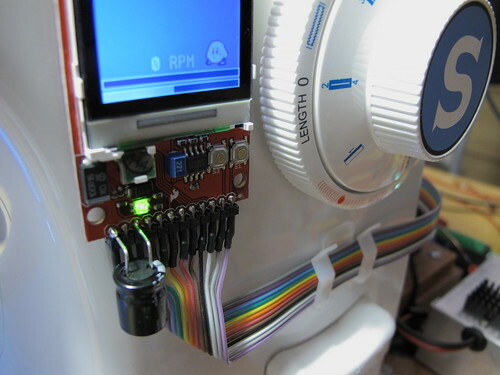 At random intervals while sewing, sometimes after 15 minutes, sometimes after only 2 seconds, the whole system would reboot. The microcontroller resets, and everything goes on like normal. Sometimes instead of rebooting, the LCD would become corrupted but the system would otherwise be fine. 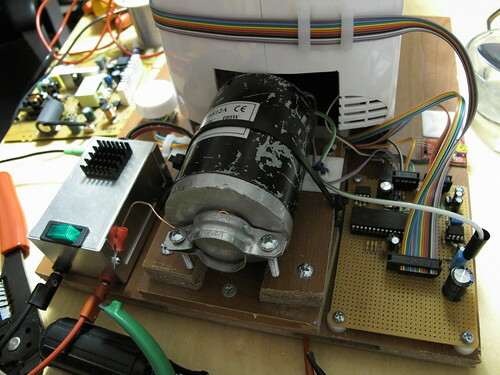 Sometimes the motor speed controller (on one of the microcontroller ‘cogs’) would keep running, but the UI (on a different ‘cog’) would crash. Sometimes there would be noise in the tachometer sensor, causing the estimated machine angle to ‘creep’ upwards slowly. 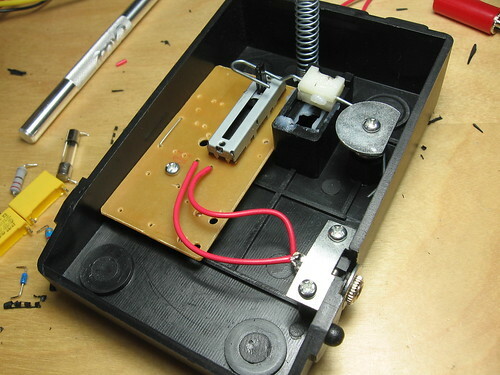 Tweaked the values of the reset circuit’s RC filter, in case it was spontaneously triggering a reset. The unused “current sense” output from the LMD18200 was hooked up in such a way as to couple lots of noise into the μC’s ground. Disconnected it. Some noise was also flowing into the μC’s ground via the outputs for motor PWM and direction. Added series resistors to all of these signals. 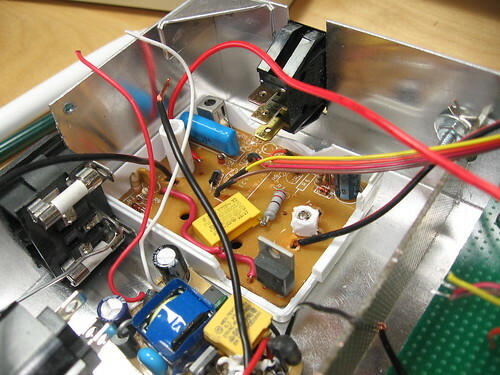 An LC filter on the 6V supply as it enters the main board. 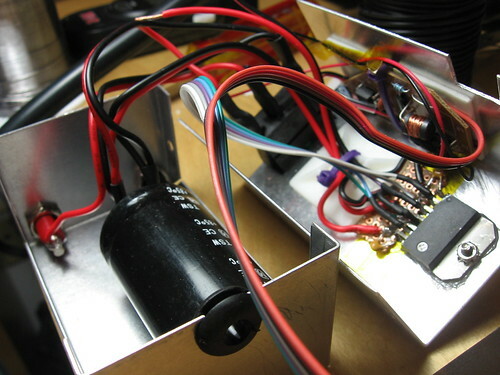 The higher-current but noise-tolerant loads like the LCD backlight and the LED work light are not protected by the filter, but the 3.3V regulator and the analog circuitry are. Grounded the motor’s metal enclosure. 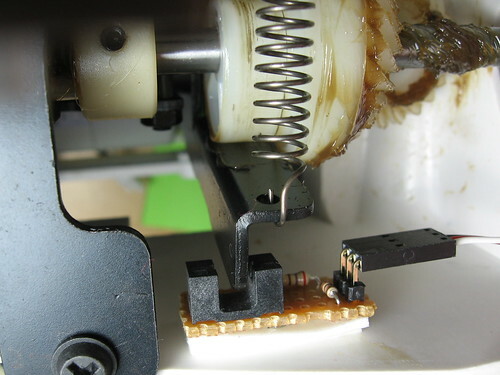 It was actually throwing off enough EMI that, even with the μC on an isolated power supply, crashes occurred with the motor running but not without. After grounding it, the problem was nearly gone. I still had occasional crashes, and less occasional LCD glitches. It turns out that the DC-DC converter on the Spark Fun LCD board is rather noisy, and it was coupling noise back into the 6V power supply. Since this power goes overt he long ribbon cable alongside our high-speed SPI bus, it is pretty likely to corrupt bits in that bus. Fixed this by adding a big electrolytic cap directly to the Vbatt input on the LCD board. Whew.. and after all that, I think it’s finally all fixed. This entry was posted in Sewing Machine on October 10, 2010 by Micah. Life has been super crazy lately, and I haven’t taken much time out lately for hacking on projects. This weekend, though, I finally got that magic combination of time and motivation back, yay. The occasion: I still owe my boyfriend some cute plushies. Oh, and perhaps I want to try sewing myself a skirt. (Maybe someday I’ll even make a North Skirt). But for any of that, I need my sewing machine to work. 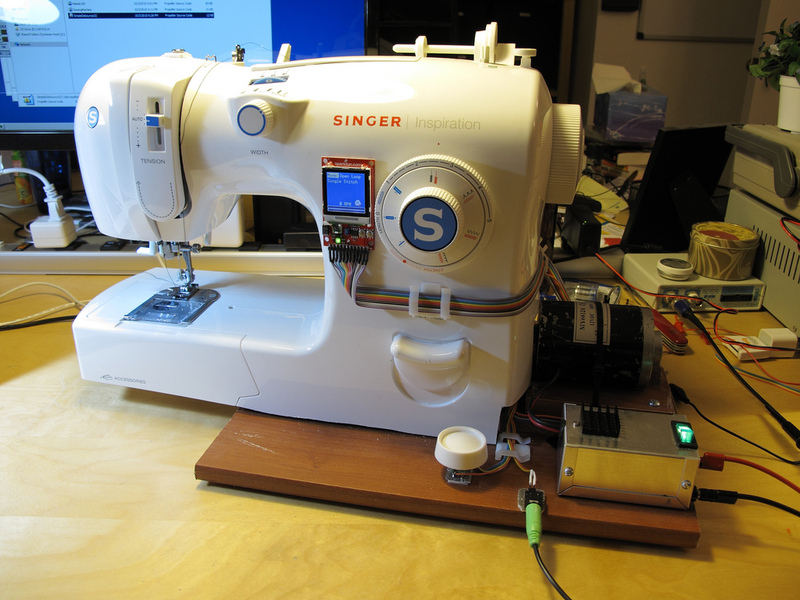 Well, it did work… I was just getting annoyed by having to have it hooked up to a computer, and loading different firmware images onto it for different sewing modes. I’d been meaning to add some kind of user interface to the project, but I decided to save that part of the project for later. Well, the future is now… or yesterday, at least? 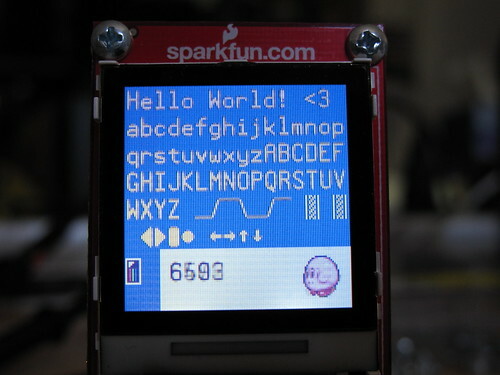 I had a rather cute 128×128 Nokia 6100 knockoff LCD that I wanted to use with the project. It’s inexpensive, not a bad quality/price tradeoff, and they’re pretty easy to interface with. 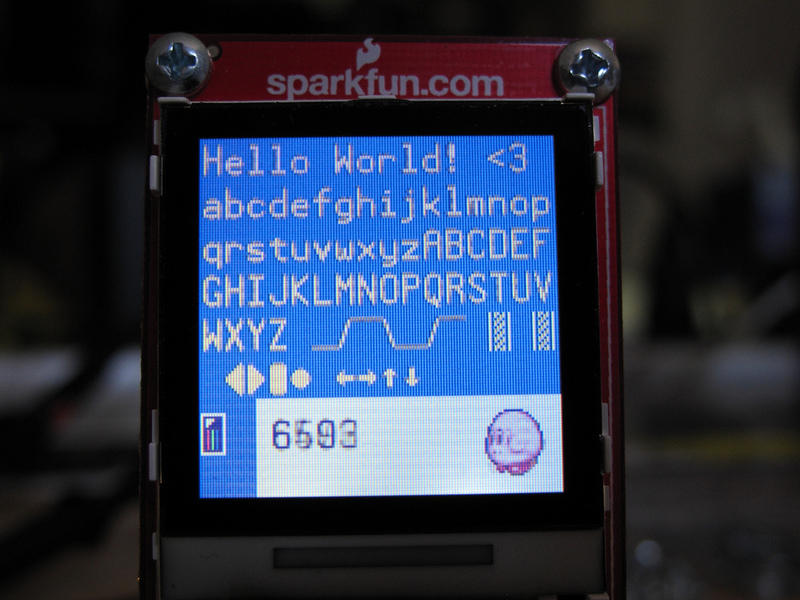 Spark Fun already has plenty of drivers on their page for different microcontrollers. But of course, not a Propeller. And after searching through the Parallax forums, I couldn’t find any existing driver that was open source, fast, and that actually worked with my LCD. 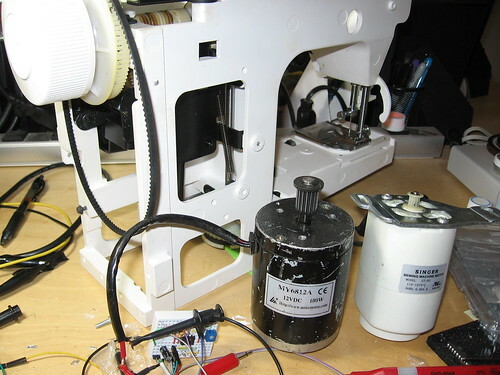 This entry was posted in Arts & Crafts, Portfolio, Sewing Machine on October 4, 2010 by Micah.